The Bible is an extremely important tool when it comes to learning about God. At the same time, it is a rather large book with a lot of stories, so it can be quite intimidating when you are looking for answers to specific questions. Kids who are just stating to discover the Bible are going to be especially inquisitive about what they're learning. 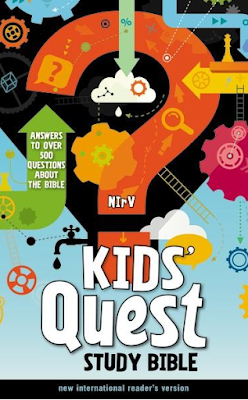 The NIrV Kids’ Quest Study Bible is the perfect tool for children who have tons of questions about God, Heaven, Angels, and just about anything else they've been pondering. 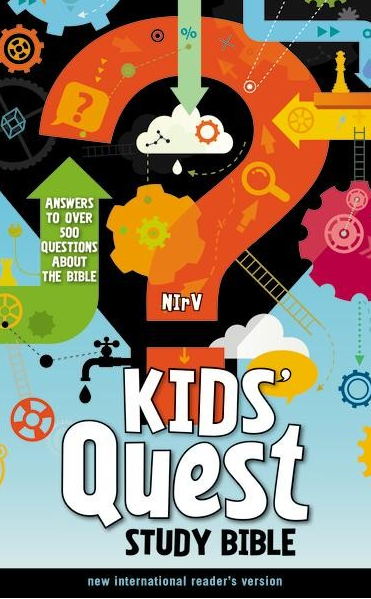 The NIrV Kids’ Quest Study Bible answers over 500 questions children ask about the Bible, about their world, and about God. It speaks their language and answers their questions in a way they can understand. How come people lived so long back then? Why did God allow the flood? Is Jesus real? 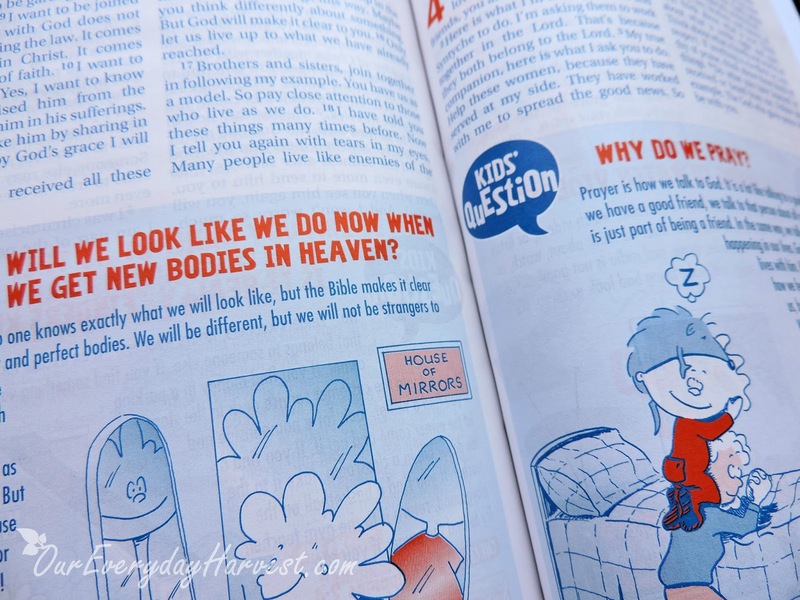 Kids have LOTS of questions about the Bible and God. 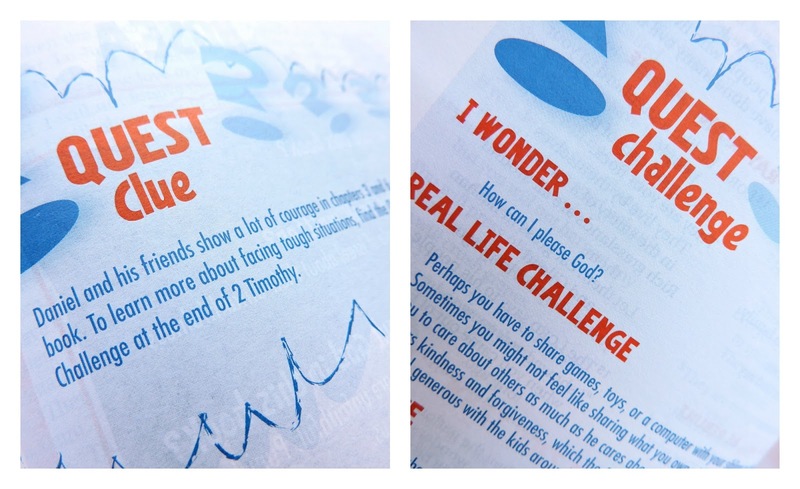 The NIrV Kids’ Quest Study Bible is a great resource for kids eager to learn more. Children ask a lot of questions–it's one of the ways they learn. Wouldn't it be great to give them a Bible that takes them on a quest to find the answers to some of the most asked questions about Christianity? That is exactly what the NIrV Kids’ Quest Study Bible does. 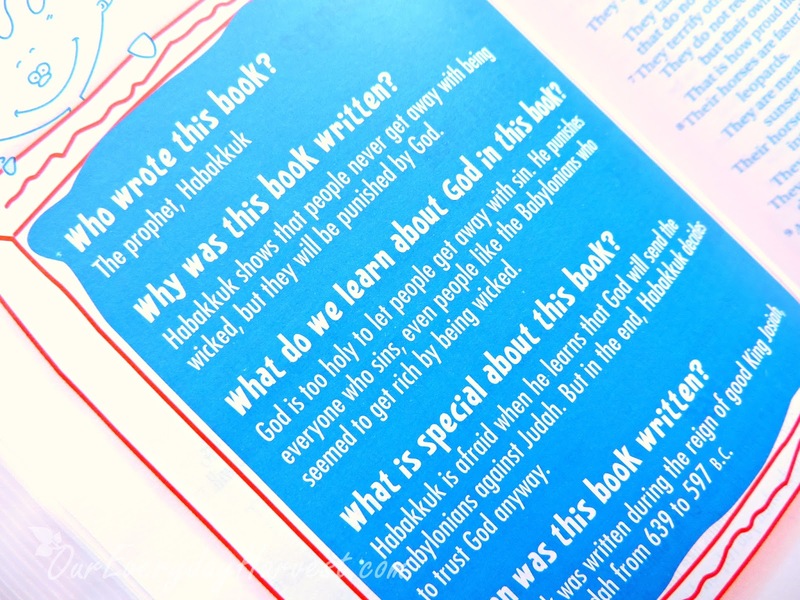 This Bible is specifically made for children and includes answers to over 500 questions. Are there animals in Heaven? Does God have friends or is he alone? What if I told a lie and didn't know it was a lie? Why did I still have a bad dream even though I prayed? 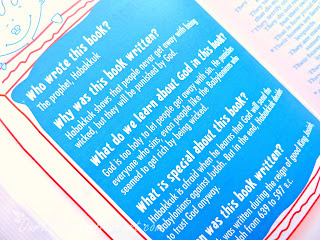 These are just some of the questions that you'll find answers to in this Bible. The NIrV Kids’ Quest Study Bible has a fresh and fun look with a colorful hardcover and various illustrations throughout. One of my favorite features is the introduction before each book of the Bible, which includes information about who wrote it, why it was written and when, what is there to learn, etc. There's also an alphabetical table of contents, dictionary and topical index to help kids find a particular subject that they're looking for. In various areas, you'll also find "Quest Challenges" that offer children the chance to dive right into what they're reading even further. If you have a child who is just starting to study the Bible on his or her own, then I highly recommend the NIrV Kids’ Quest Study Bible.This is a pretty awesome, high-quality Bible! It looks just like an adult Bible with a bunch of added features perfectly catered towards children. Since it's a NIrV (New International Reader's Version) translation, it also offers an easy to follow format that is perfect for beginners.